Finally some free time to catch up with the blog! 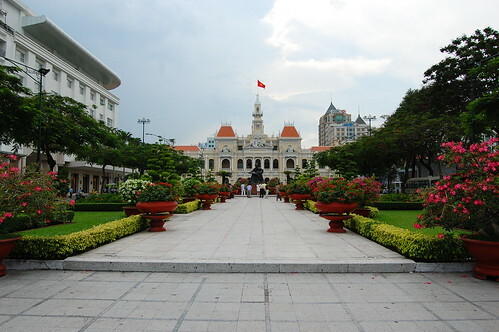 This post is about one of the best trips I have made in my life. Not only because of the place we visited but because of the people I went with: my sister, sister’s boyfriend (now her husband), and my brother came all the way from Spain to visit me in Seoul. 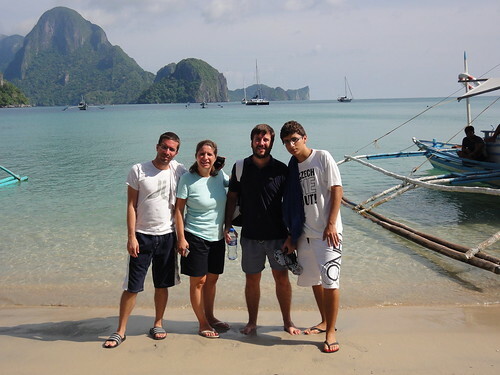 After one week in Seoul, we decided to fly to the Philippines and visit El Nido. 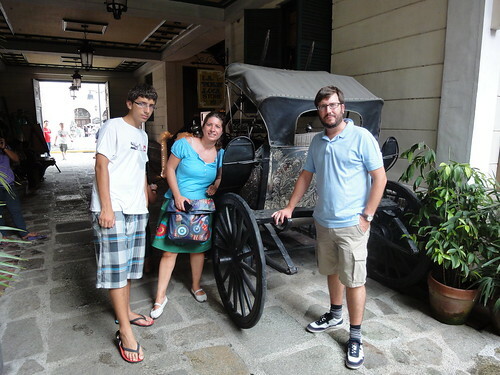 From left to right, Javier, Ana and Curro in Manila. 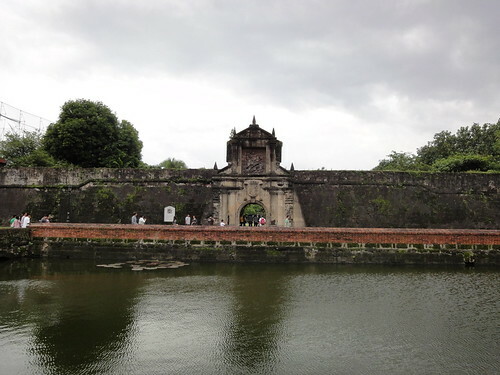 Although its islands are among the most beautiful in the world, the capital of the Philippines, Manila, is quite an underdeveloped capital, with much poverty and not so many nice places. 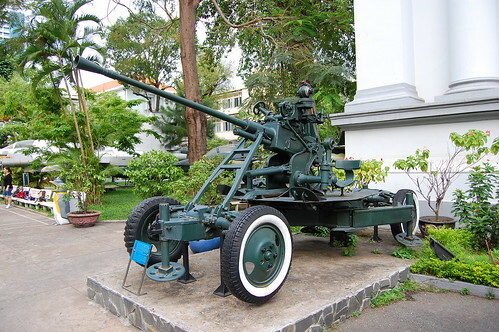 Fort Wayne is one of its few tourist attractions. 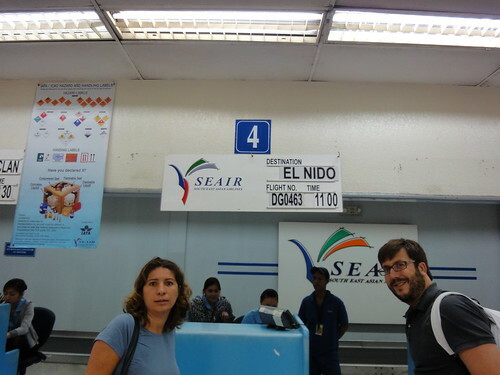 From Manila, there are two airlines that fly to El Nido: ITI and Seair. 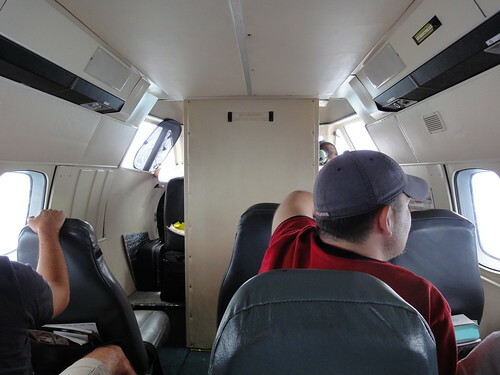 These flights are quite expensive (around 6,700 PHP) and not recommended for people afraid of flying, as the airplane looks quite weak and it will bounce a lot during the flight. 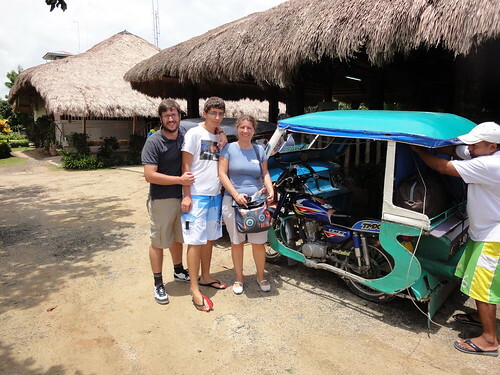 The other option (much cheaper) to get to El Nido is to fly to Puerto Princesa and from there take a long bus ride to El Nido most of the time on unpaved roads (not recommendable for a family trip). 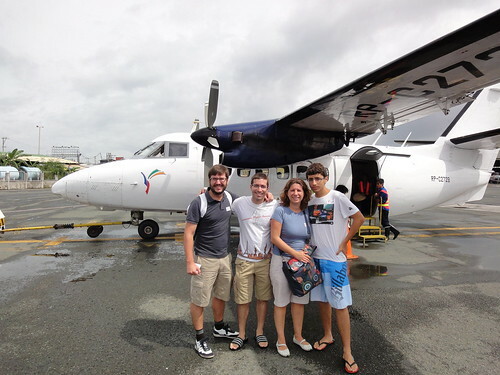 The plane that would take us from Manila to El Nido. 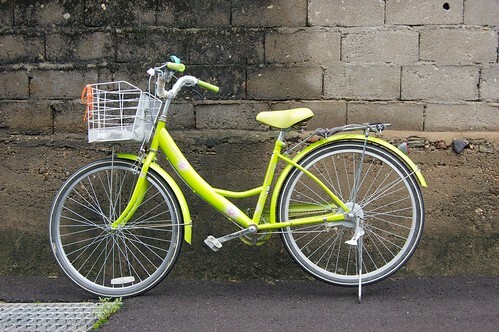 It is operated by Seair and can only fit around 15 passengers. There are only 2 (or 3) flights a day. Doing the ckeck-in to El Nido. 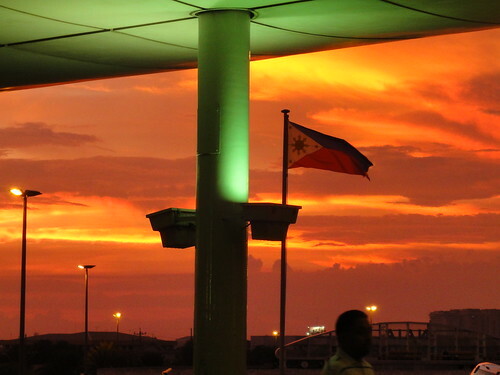 This is the airport at El Nido. 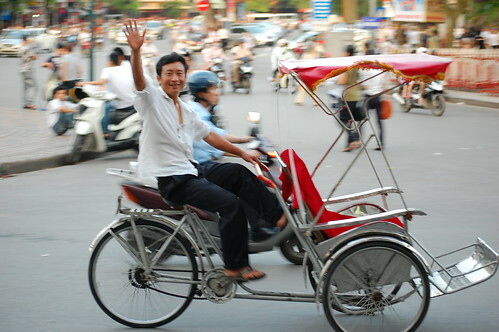 The best way to go from there to the resorts is by tuk-tuk. You will have to bargain the price with the drivers though. 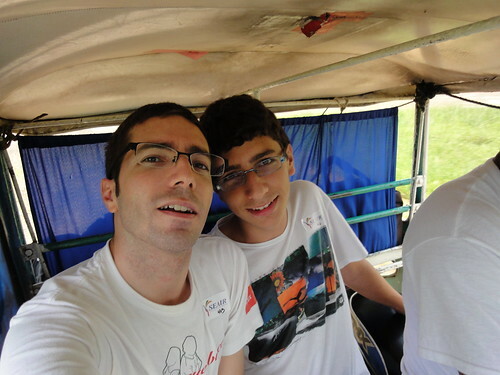 With Javi on the tuk-tuk. 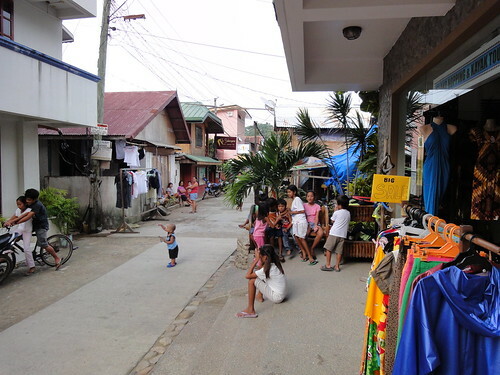 El Nido is a very small town that lives mostly of tourists, fishing and agriculture. 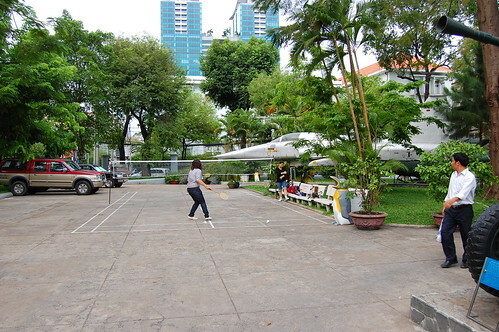 Art Cafe’s main entrance. 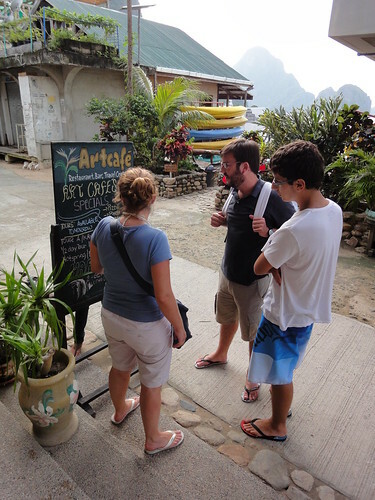 Art Cafe is the main meeting point for tourists in El Nido. 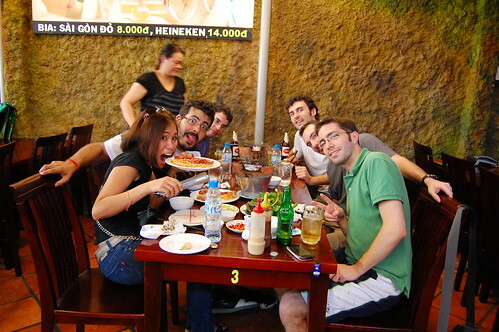 There you can have a refreshment, a meal, or even book your flight back to Manila, like we did. 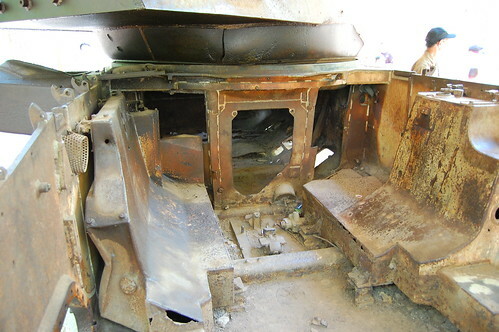 There is also free wifi available. 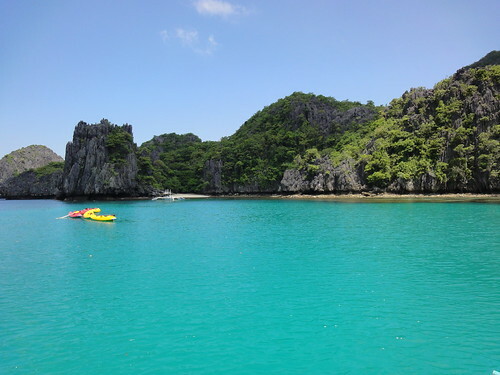 Some of the views that you can enjoy in El Nido. 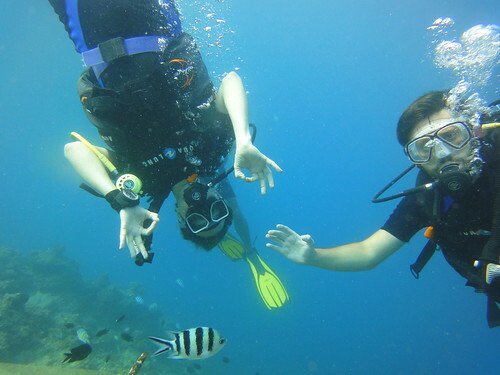 Diving is another activity that you should not miss if you have the chance to visit this place. No Photoshop here. 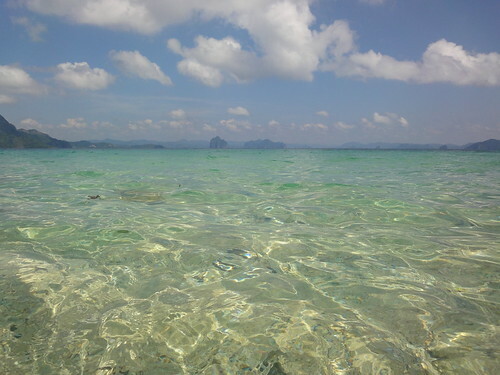 This is just how water looks in El Nido. 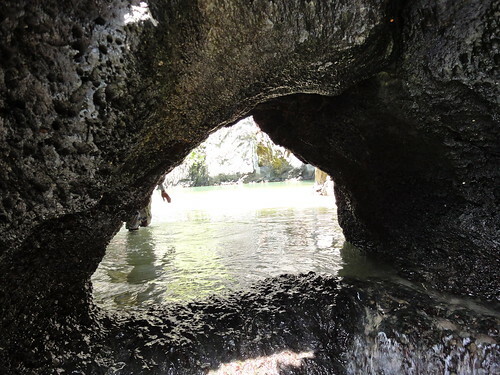 The Hidden Lagoon can be visited on one of the many organized trips around the nearby islands. Totally recommended. The Jeolla province (a.k.a. 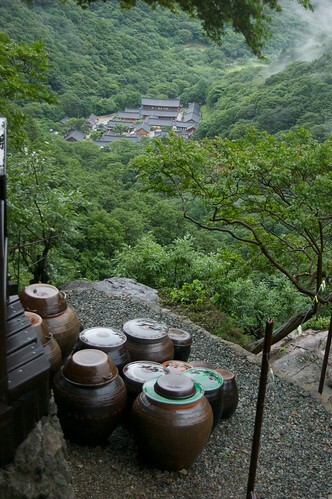 Jeolla-do, 전라도 in Korean) is one of the big secrets Korea hides. 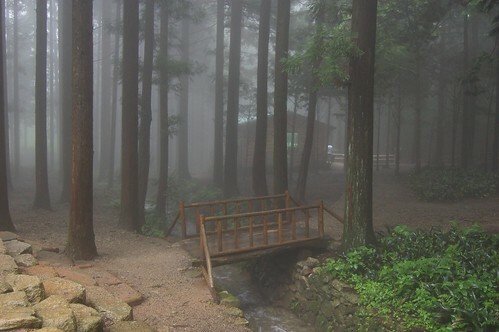 Unknown to many foreigners who visit this country, it is one of the most beautiful provinces of Korea, and with the best food. 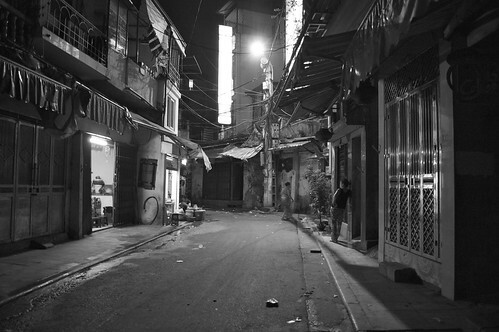 The drawback tough is that it is not easy to find English-speaking hotels, restaurants, or people, so if you want to visit here you better speak Korean or go with a Korean friend. That being said, I am sure that this region will experience a huge increase in foreign tourism in the next years, as its possibilities are endless. 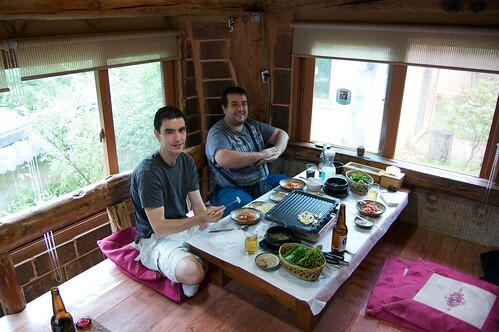 On the way to Cheolla, we stopped by Boryeon (where the Mud Festival takes place every year) for dinner. Really great fish and so cheap! 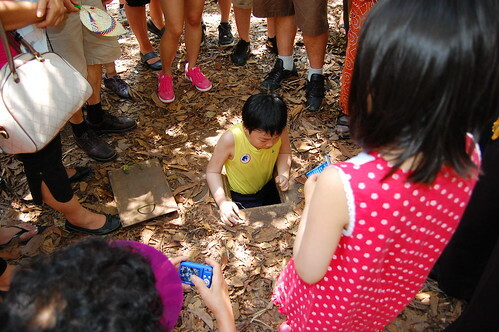 One of the activities you can do in Jeolla is, of course mountain-climbing. 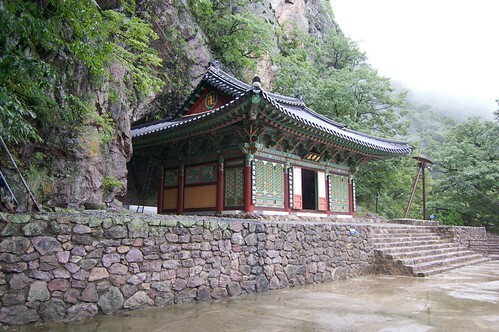 This is one of the buddhist temples we found during our course. 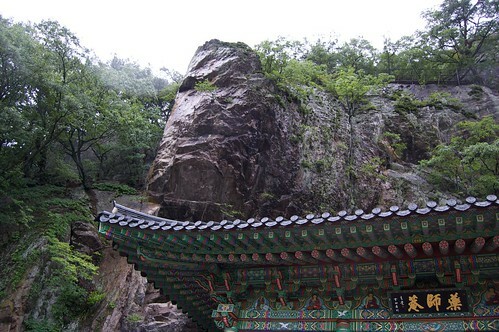 The temple had this immense rock on the top which looked like it was going to fall at any time. View from the top of the mountain. 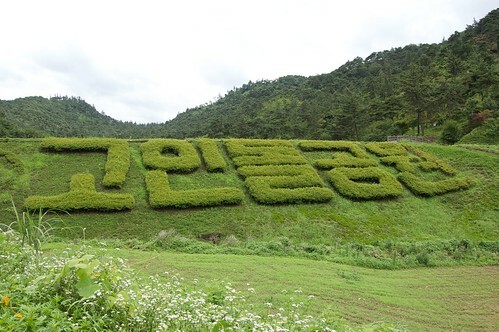 Another must-see place in Jeolla are the Boseong tea plantations (more info here). 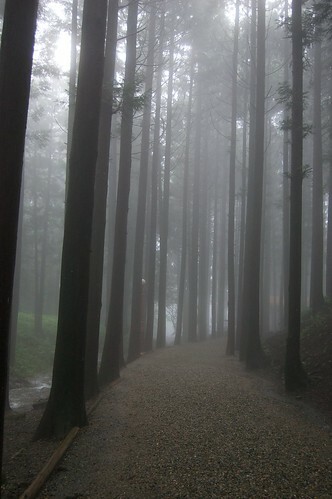 Unfortunately, it was really foggy and rainy the day we went there, but it was still worth seeing. 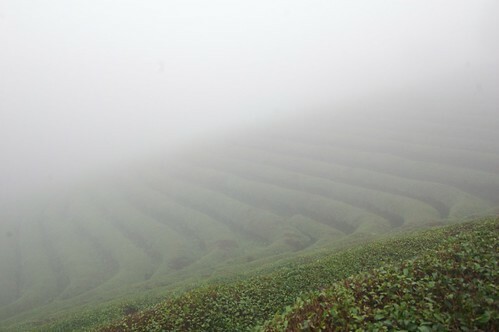 We could hardly see the plantations due to the heavy fog. When you travel in the Korean countryside, where people are not so used to see foreigners, it is not uncommon that strangers ask you to take a picture with them. Sometimes you feel like a movie star. 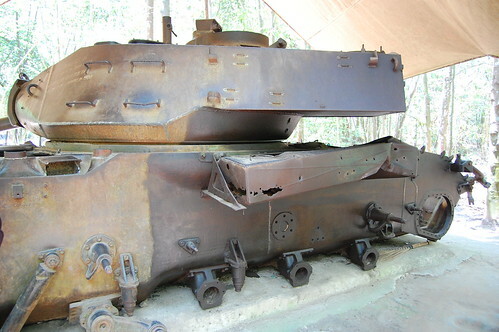 A bridge at the trea plantations. 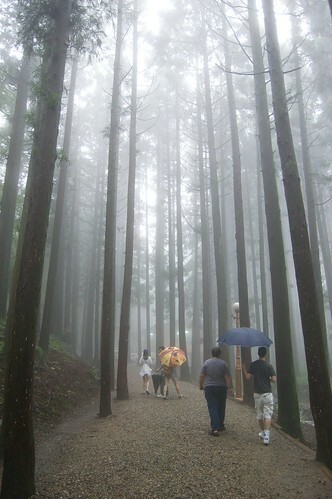 This place kind of reminded me of Nami Island. 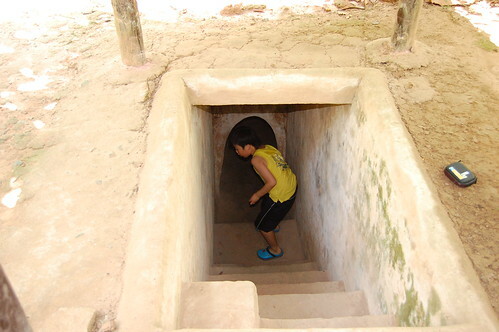 Another interesting place is this dolmen site in Hwasun. 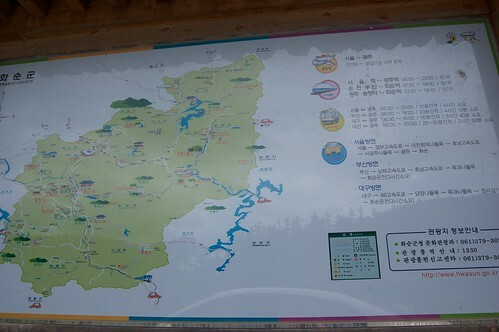 I already talked about dolmens in Korea during our trip to Ganghwa Island. 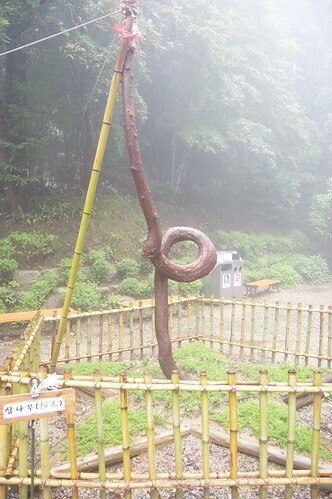 As opposed to Ganghwa where there are just a few dolmens, this park is full of them, near three hundred according to the Wikipedia. Like I said, food is also one of the reasons to visit this province, in this restaurant we had the best Korean beef I have tried. 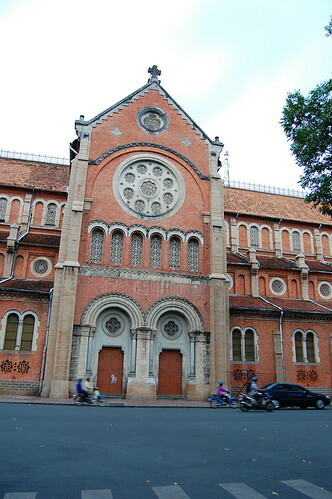 Main gate of the restaurant. 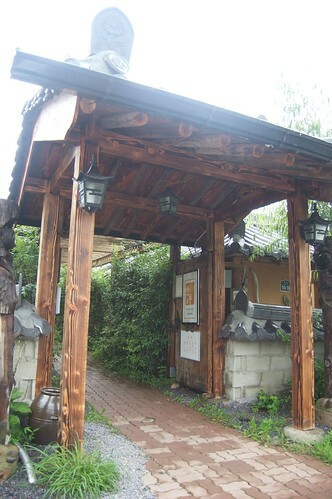 Unfortunately I forgot its name, but it is very close to the dolmen site, and quite popular, so if you ask for a Korean beef restaurant near, they will probably send you here. 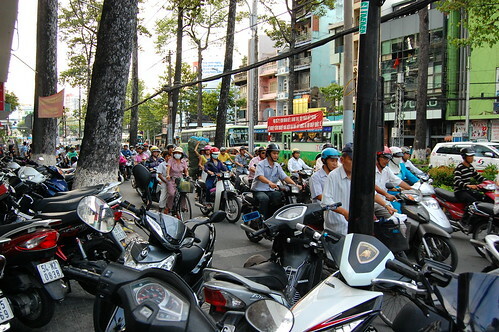 I still had to write about the second part of my trip to Vietnam: the capital Hanoi. 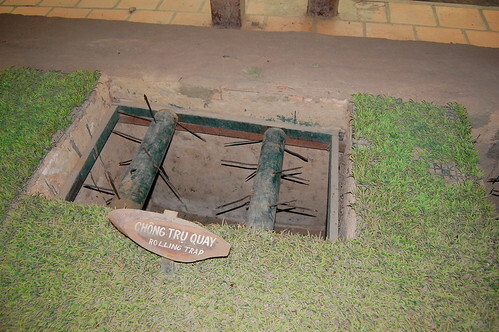 I did this part of the trip by myself, which has its advantages and disadvantages. On the one hand, traveling alone allows you to do just whatever you want without having to worry about others’ preferences. 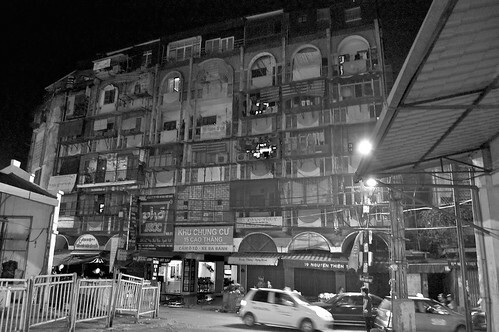 On the other, sometimes you miss having someone to talk to about the places that you see, and it can even get boring sometimes. 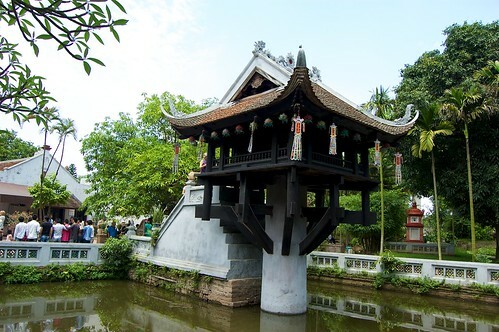 The One Pillar Pagoda, one of the most well-known pagodas in Vietnam. 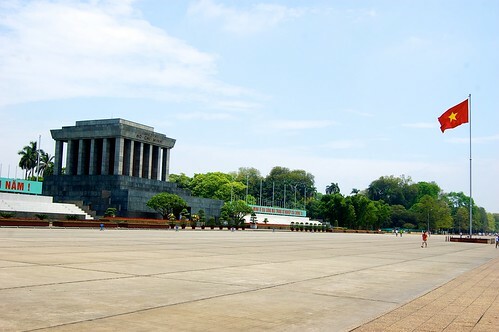 Another must-see is the mausoleum where Ho Chi Minh rests in peace (when tourists allow it). 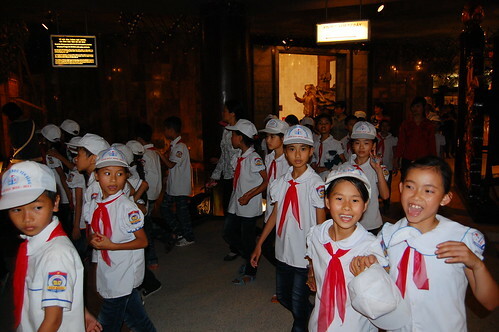 At the Hanoi Museum, I came across these children, who given their faces when they saw a foreigner, must have come from some rural area in Vietnam. 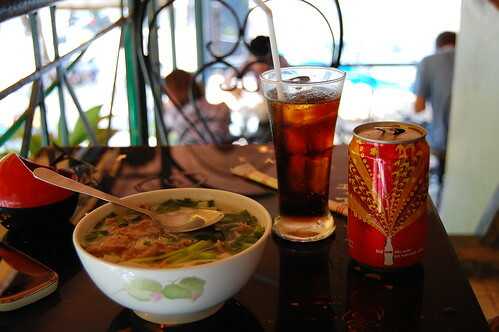 After a long morning of walking around at over hundred Fahrenheit degrees, there is nothing like a Coke and a Vietnamese Pho. There are many Pho restaurants in Seoul, but I must say that the taste of this soup was totally different from what I am used to have in Seoul. You could tell by the taste that the ingredients are much more fresh and natural. 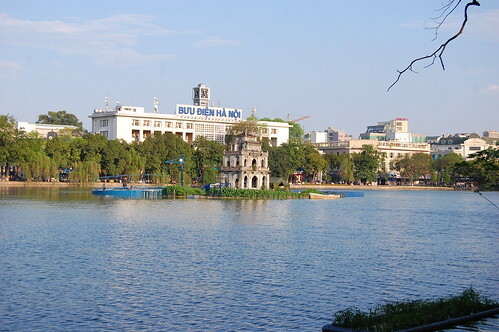 One of my favourite places in Hanoi is the Hoan Kiem Lake. It was quite close to the hostel I was staying at and I usally ended up my journeys having some drink by the lake. 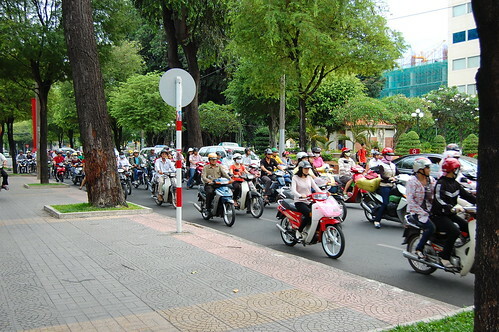 In a city full of motorcycles and hence quite polluted, this is one of the places where you can breath a fresher air. 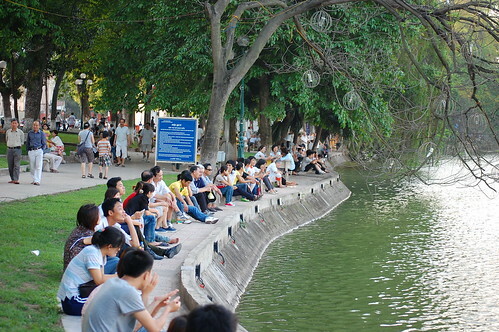 It seems that many locals shared my opinion, as the lake shores were always crowded with people sitting enjoying the fresh breeze from the lake. 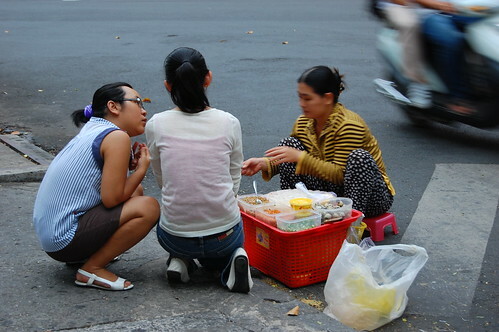 Already in Ha-Long Bay, it is quite common for merchants to approach the boats with tourists offering fruit. 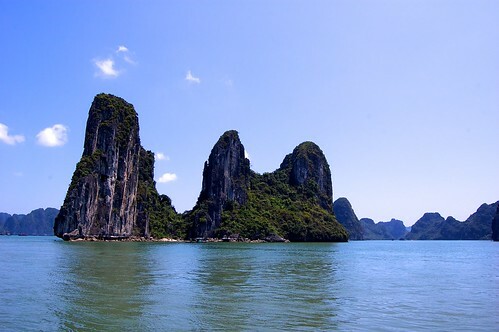 Ha-Long Bay, from the boat. 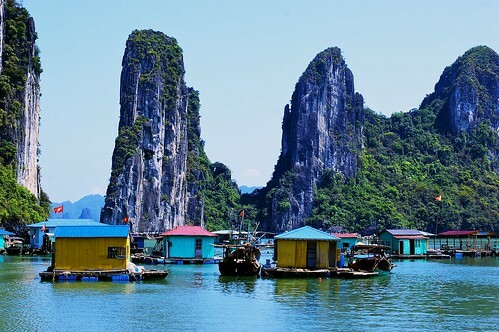 Floating houses in Ha-Long Bay. 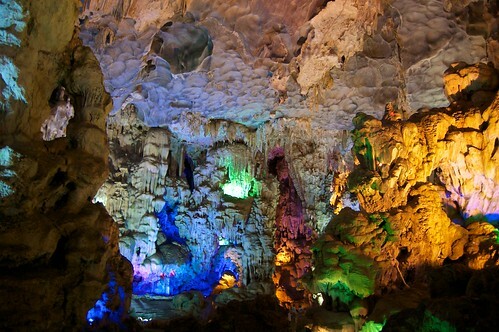 The tour I took included a visit to the Dau Go Cave, one of the many caves in the area, located in the island with the same name. The cave was quite impressive. 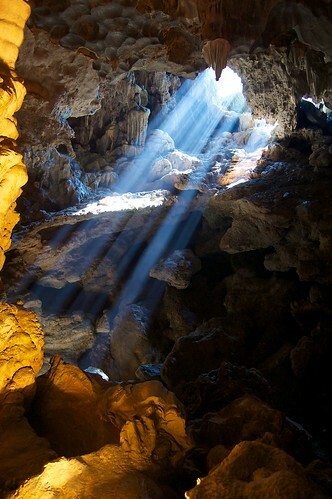 It reminded me of the Caves of Nerja, near my hometown, although I would say the Dau Go is more impressive, maybe because of the lighting that they use, which helps quite a bit. 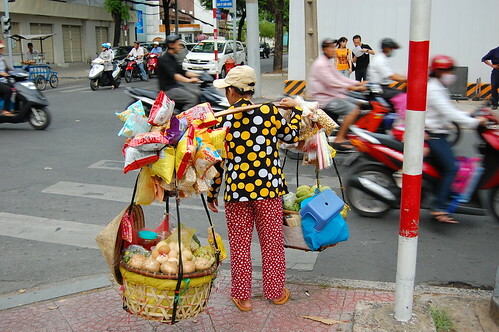 Hanoi is quite a messy city, you can feel that even on its buildings’ facades. 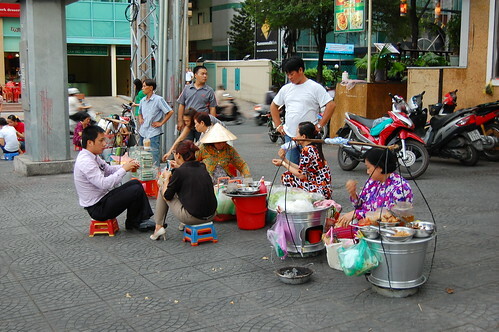 One of the charms of Vietnam is that some times it seems like time did not go by in this country. 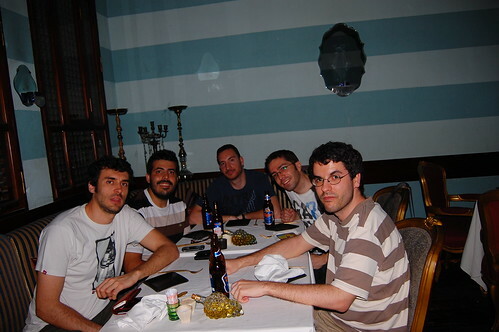 This picture could very well have been taken hundreds of years ago. 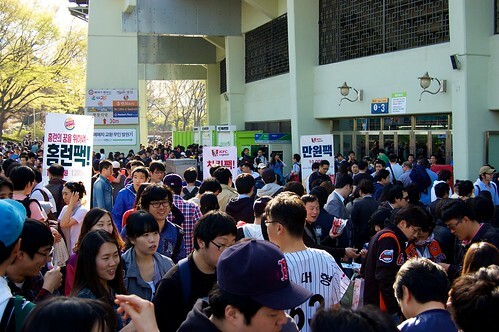 It’s funny that after all this time in Seoul I had not been to a game of the most popular sport in South Korea: baseball. 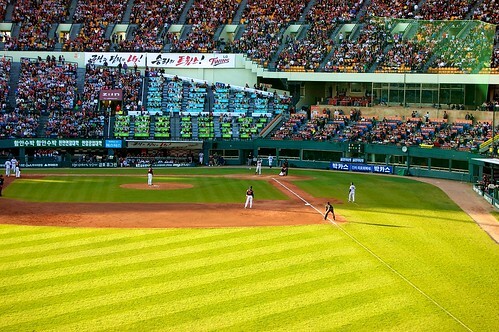 We went to Jamsil Stadium to watch a game between LG Twins and Lotte Giants. Right before the game started there were so many people nearby the entrance that the mobile network was collapsed and it was absolutely impossible to make a phone call any closer than a block from the stadium. Finally inside the stadium. I must admit that even though I am not familiar with baseball rules, the game was quite fun. Maybe because you can drink beer during the game, time went really fast. 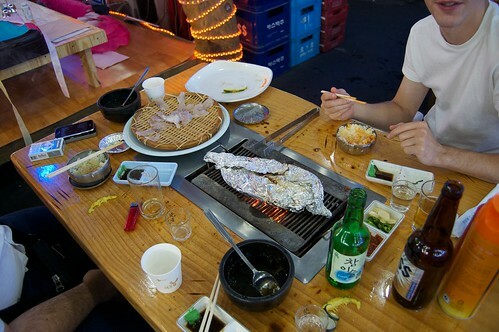 In fact, Koreans usually watch the game while drinking beer and eating fried chicken. 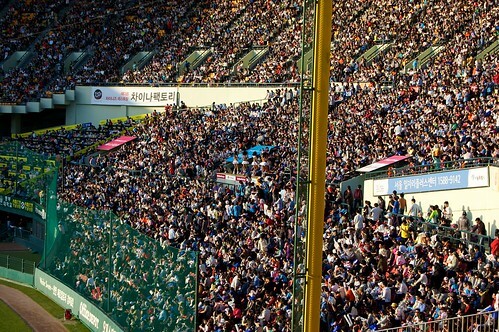 The stadium was completely crowded and over half of the capacity of the stadium was for Lotte supporters (including us), who came all the way from Busan. 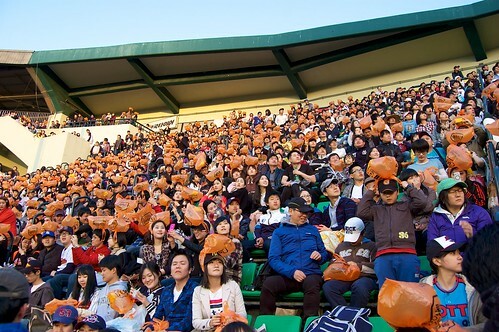 Lotte Giants is known for having the most active supporters in the Korean league. Besides, they have one of the best Korean players, Dae-Ho Lee (이대호). Also quite funny the way people support their team: with these plastic bags on their heads. Already in the subway on our way home. We could not get the victory but still you can say by our smiles we had a great time watching the game. 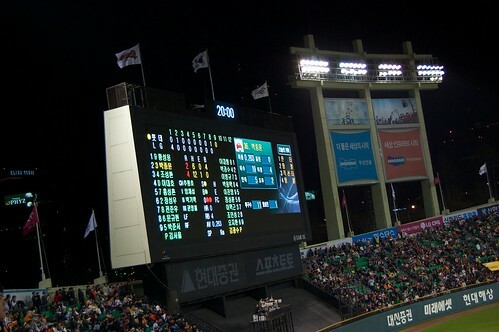 No doubt we will go again to watch Lotte winning the game!